You would think that after living on an island for the past 15 years I'd have discovered everything, but it turns out I still have a heck of a lot to learn about this country I call home. 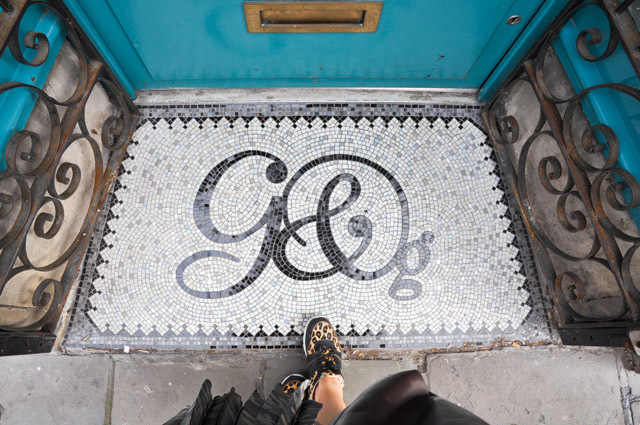 Case in point, a recent adventure in Bath. Located just 90 minutes outside of London, by train, this beautiful city is an absolute must visit for those living in or visiting the UK. 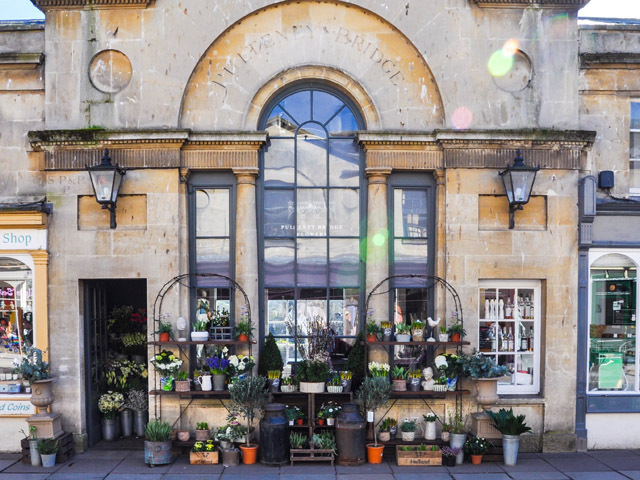 Famous for its gorgeous Georgian architecture, its role in numerous Jane Austen novels and its rather fabulous bunns (talking food here, people), Bath is most definitely a bucket list location. However, it is also a city that is rather overlooked when it comes to one of my favourite pursuits in life... shopping! So, I have taken it upon myself to plan an itinerary that you won't get from your local tour guide who will insist on showing you the famous Royal Crescent and the Roman Spas (both worth seeing, btw). This is all about taking advantage of the local artisans, the busy high street and the incredible home decor discoveries. 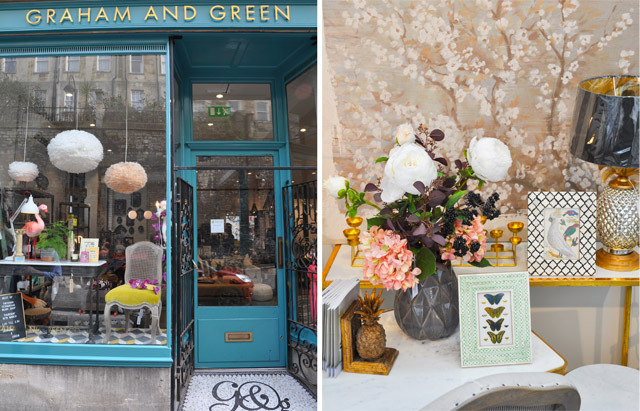 Get ready for your official guide to shopping in Bath! As this whole shopping guide will last you a full 48 hours in action, we'll cover everything from where to stay to where to pop in and out of, credit card at the ready. 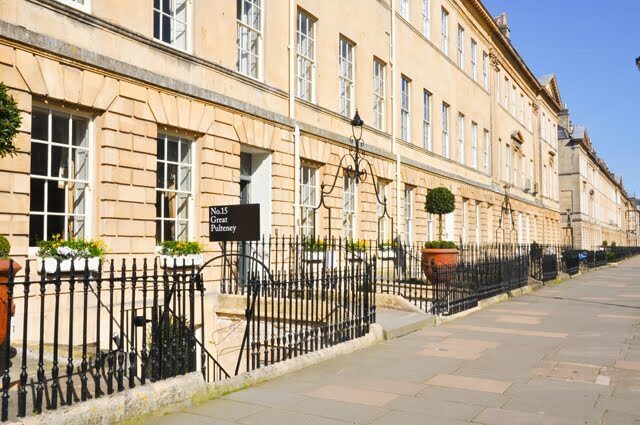 There are so many places one could stay in Bath, but I'm partial to one because of it's incredible decor, fabulous customer service and it's secret fridge full of more chocolate than any one guest could ever consume (trust me, I tried). No. 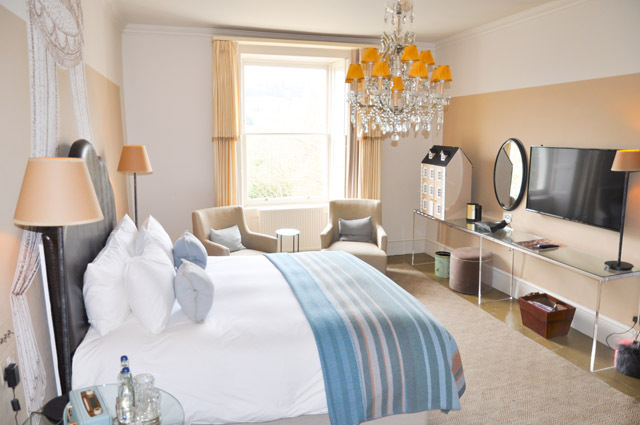 15 Great Pulteney is a new hotel on the scene in Bath, and perhaps the most suitably located for the shopping agenda I have planned for you. It's just down the street from where the shopping excursions kick off and is ideally located for those wishing to take in everything this city has to offer. The views from all windows are sensational, the beds guarantee a comfortable and luxurious sleep and the in-room oversized baths will give you adequate space to soak your feet after a long day of pounding the cobblestones in search of supreme shopping. Almost everyone will tell you that this shop needs to be on your radar, and I'm seconding that. I'm also putting it first as it's a great place to visit for picking up a morning coffee and a pastry or cake (go for the cake). But, be careful as while you are sitting enjoying your latte, your eyes will be scanning the space and registering every beautiful thing that instantly feels like it needs to go home with you. 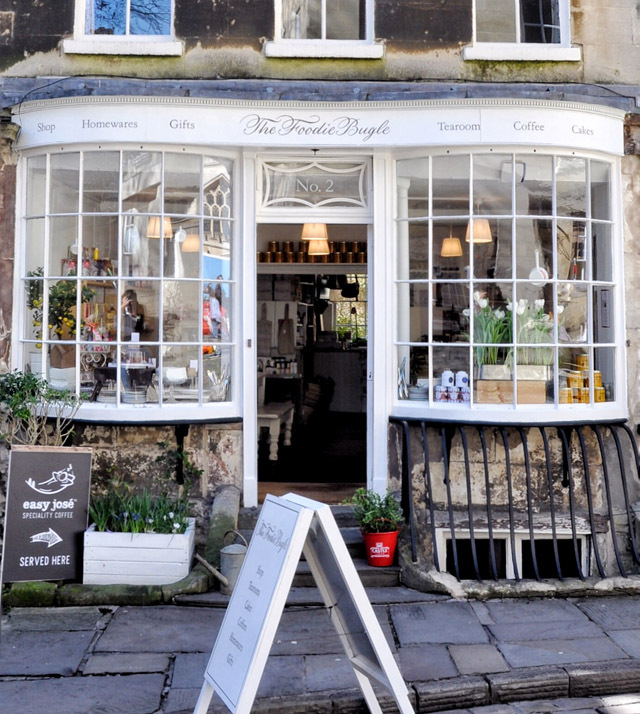 The Foodie Bugle offers everything from stationery to cookware and more. 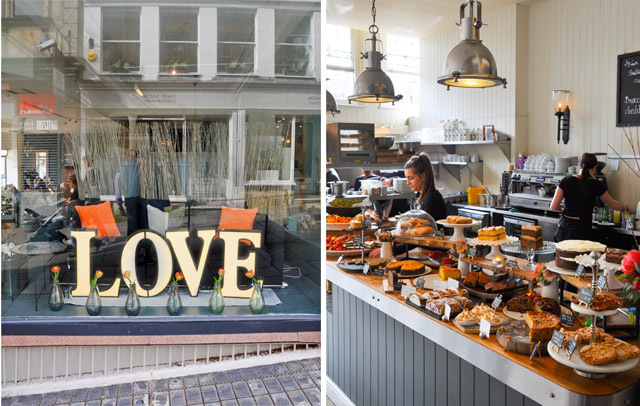 There seems to be a theme here in Bath when it comes to shopping and food. 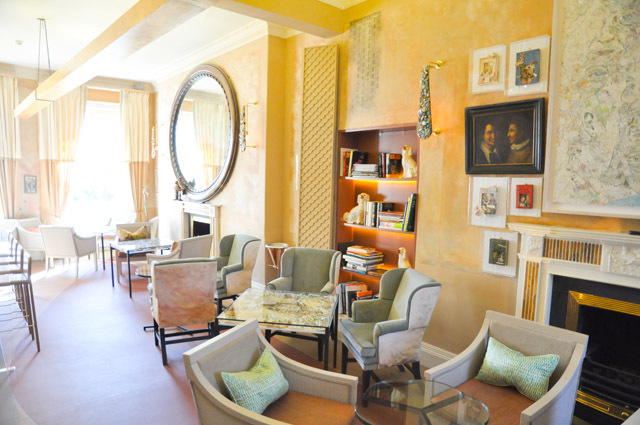 First we have the Foodie Bugle and now we move onto The Loft, which is housed with Cafe Lucca. Again, you will be tempted by the great coffee and cakes while looking over the interiors and women's clothing from afar, readying your game face for the shopping process. 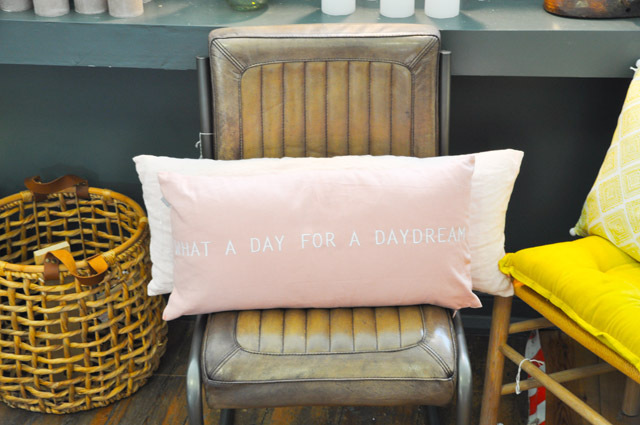 The Loft is full of oversized framed movie posters, wicker baskets, decorative pillows, beautiful linen pieces that your wardrobe never knew it was missing and more. It is an eclectic mix of home decor and women's fashion that will have you rethinking absolutely everything you own at that moment in time. Consider yourself warned. You may need a bigger suitcase. You may start to see a trend here. 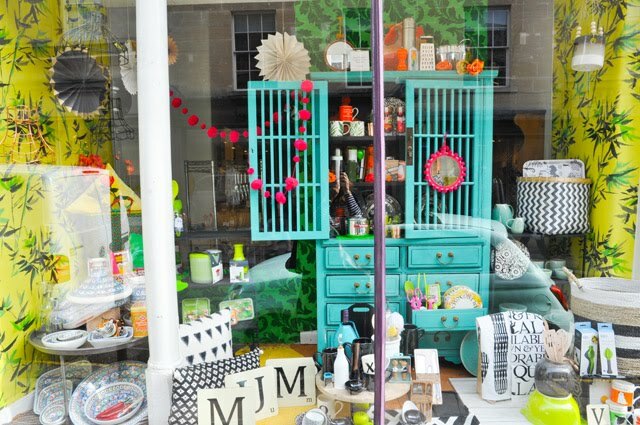 My focus here in Bath was definitely geared towards more of a home decor shopping haul. Hey, if the shoe (or dining room table, in this case) fits! So on that note, I introduce you to OKA. The best way to describe OKA would be luxury classics. The home decor here is at the height of sophistication and is laid out in a way that makes you feel organized, just by looking at it. It's everything I wish my home could be and provided plenty of inspiration to take away with me (as well as a few pieces of furniture I couldn't live without). On the opposite end or organisation, we have the organised chaos of Graham & Green. 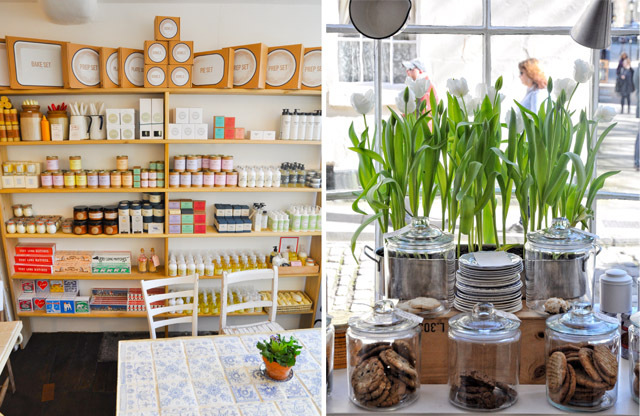 I have no words to describe my undying love for this shop in Bath. Walking in is like walking into an adult candy store. Everywhere you look you want to reach out and grab something. From the hanging monkey lamps to the artisanal salt and pepper shakers, this is a store that has so much personality it risks being overwhelming. But you absolutely must visit. It has to be on your shopping to-do list, if even just to march in and buy a chic box of matches. I can feel you saying right now, "Anthropologie, really?" Yes, people... really! 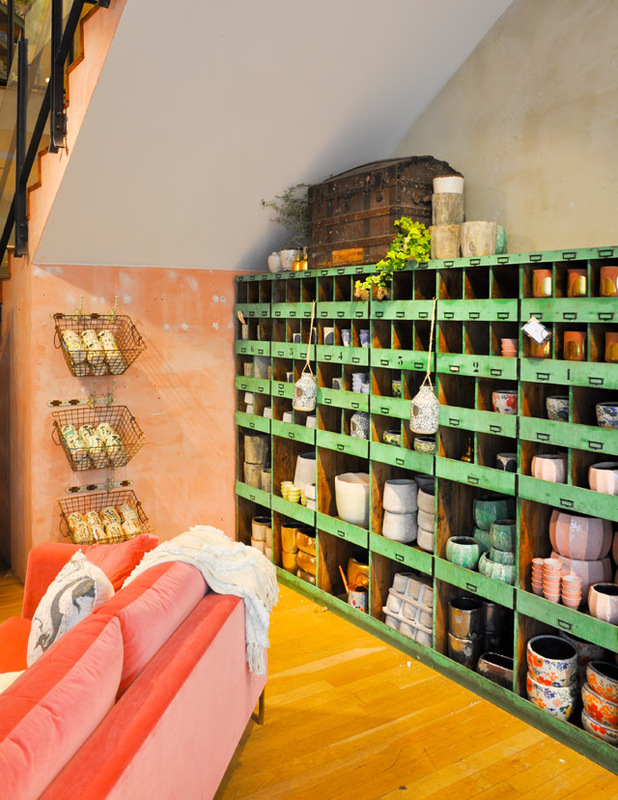 Have you ever noticed how every single Anthropologie store is different? 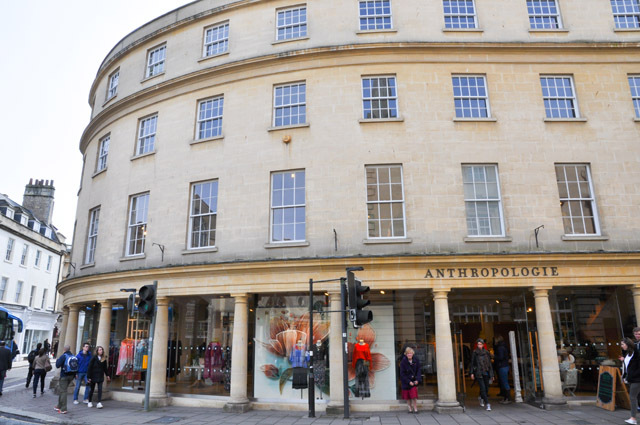 And Bath's Anthropologie is a keeper. The decor in this beautifully renovated building is gorgeous. 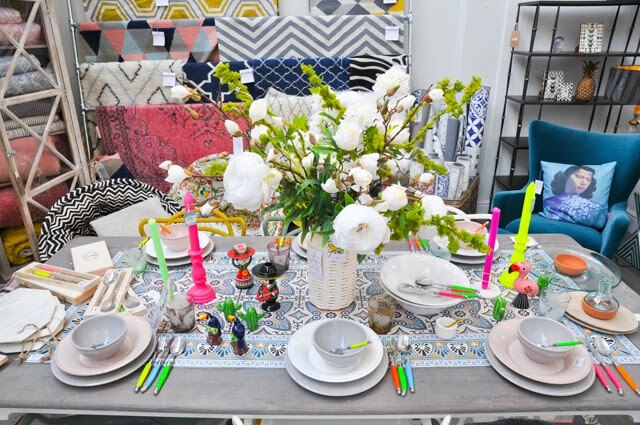 There is inspiration found in every corner and you are free to shop both home decor and women's clothing in one visit. I ALWAYS pop into Anthropologie stores around the world as I find the only thing they truly have in common is their list of brands, otherwise the spaces are all completely unique and kitted out in such a way that makes you feel as if you are standing in the only Anthropologie on earth. 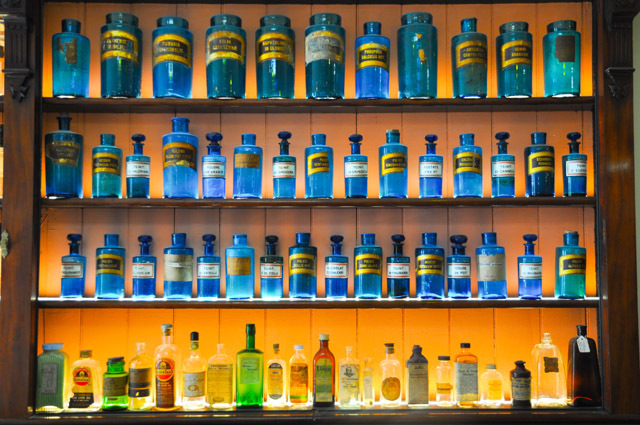 Make this a visit! Now, speaking of high street shopping, let me direct you to a shopping area within the city centre that has everything and then some, for a one stop shop if you are in a hurry-- let's say you're only given an hour to shop. Make this your destination. 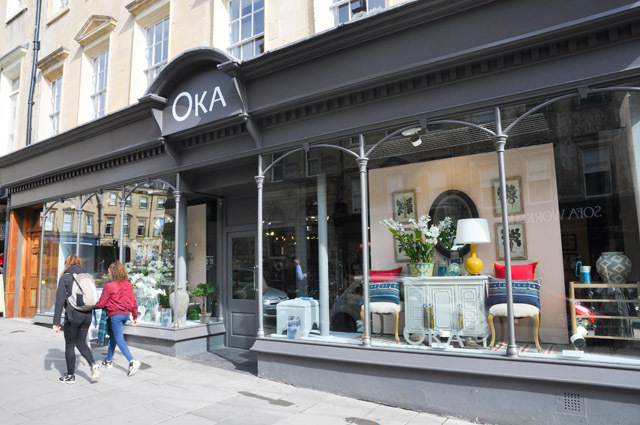 For brands you'll find everything from Cath Kidston to Phase Eight in this space, as well as a few independent boutiques like Seven Boot Lane and the jewelers Quadri. 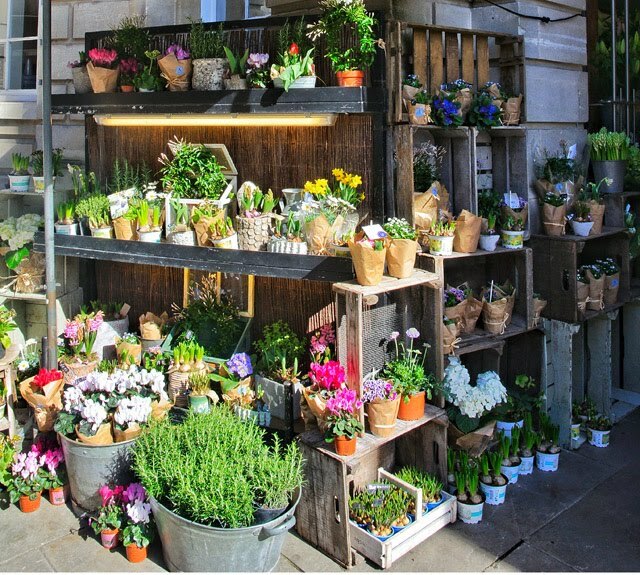 You can also pop into True Grace for a fragrance experience or grab a quick lunch at Carluccio's, Jamie's Italian or Yo! Sushi. This is the all-in-one location for shopping and eating! 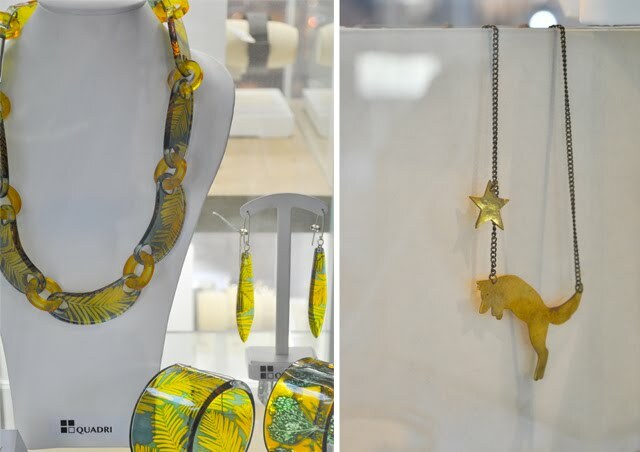 For those of you seeking out something truly unique, pop into One Two Five Gallery and strike up a conversation with Carole Waller - a woman you will find yourself wanting to spend all day with. Her beautiful creations are simply wonderful, truly unique and make for very special gifts for loved ones. After all, who wants to visit any place on earth as special as bath and return with just a normal tourist tee in hand. 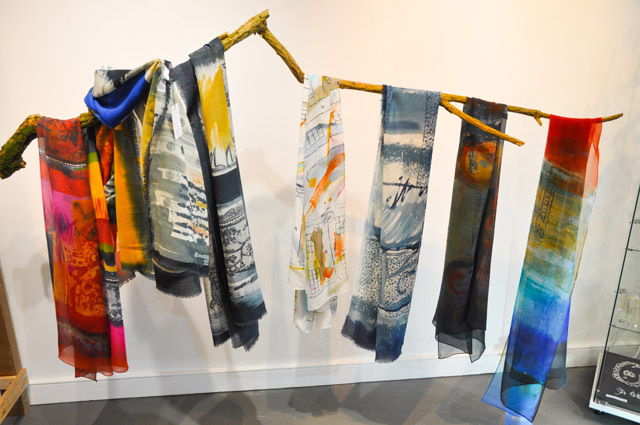 Instead, come home with a silk scarf that features an architectural element of this beautiful city! Now let's talk about a more luxurious way to remember Bath, and I'm talking serious luxury here... down on one knee type of luxury. 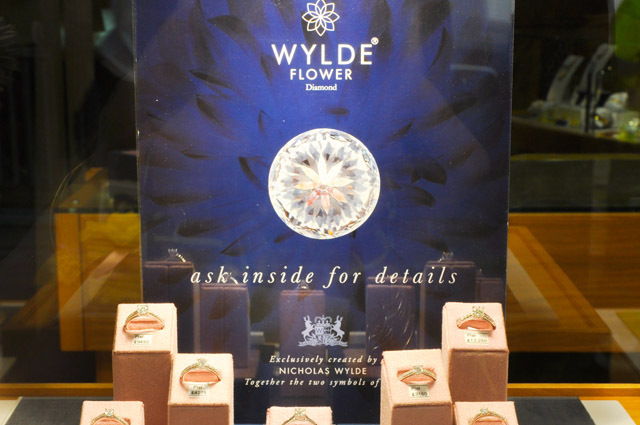 Nicholas Wylde is a jeweller that has called Bath home for 30 years and in his 25th year in business he launched a very special and unique diamond called the Wylde Flower diamond. This has become a highly sought after jewel to mark special occasions. 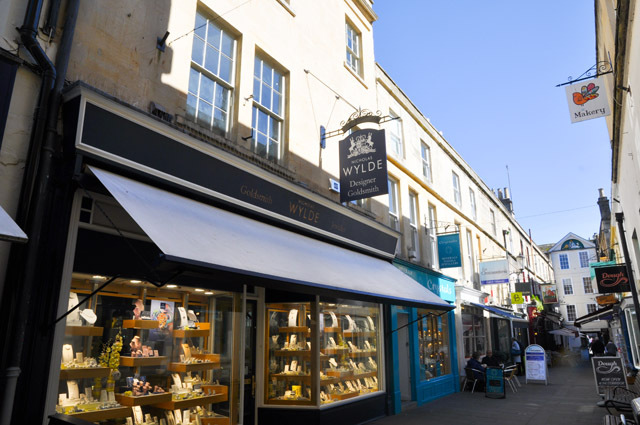 So should Bath be the place you choose to mark a rather special occasion, perhaps a visit to Nicholas Wylde should be on the cards? I don't want to appear to play favorites in any part of this guide, but I just have to say that a shopping trip to Bath that doesn't include an hour or two in Rossiters is not a trip I will sanction! In all my years of shopping the globe, I do believe I've never felt more at home in a store. 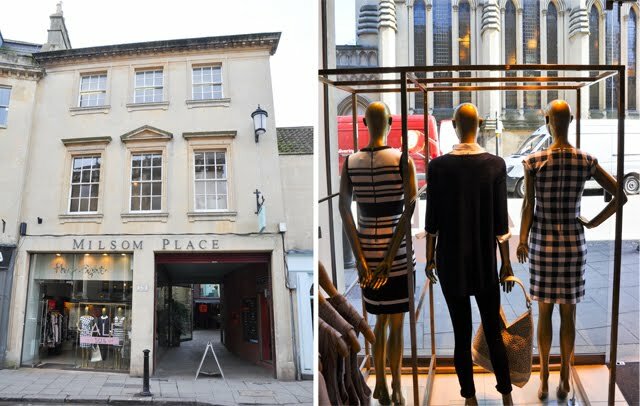 It definitely ranks in the top ten of department stores discovered globally and it's a hidden gem just sitting in Bath waiting to be discovered. Only there is a hitch here. The people in the know already know Rossiters is THE PLACE to shop. So if anything, I'm just sharing trade secrets here. From the outside Rossiters looks like a simple shop. Maybe it's a place you pop into for a trinket or a gift. But windows can indeed be deceiving. Starting with the basement that is filled with only one of my fav uk brands- Winser London - and leading through the mazes that exist on floor one, two and three, this is a place that can only truly be appreciated with the right amount of time to "oh" and "aw" over absolutely everything. 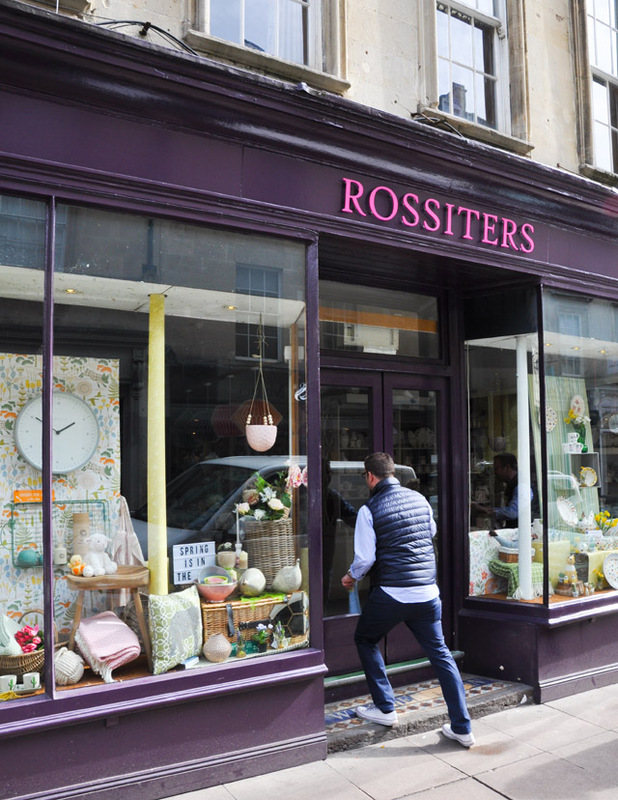 Put plain and simply, I am a girl that will return to Bath to shop time and again if just to be able to step into Rossiters. Get there! 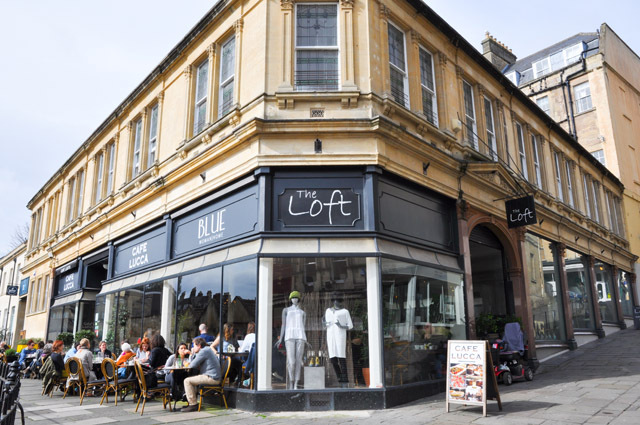 While there are plenty of shops, listed above, to discover in Bath, I haven't even scratched the surface of what's available. This is a city centre that is small enough to stroll on foot, but big enough to keep you distracted for hours on end. The only reason you'll need a car at all is to haul out all of your purchases. In fact, you may need a truck after discovering so many home decor outlets! 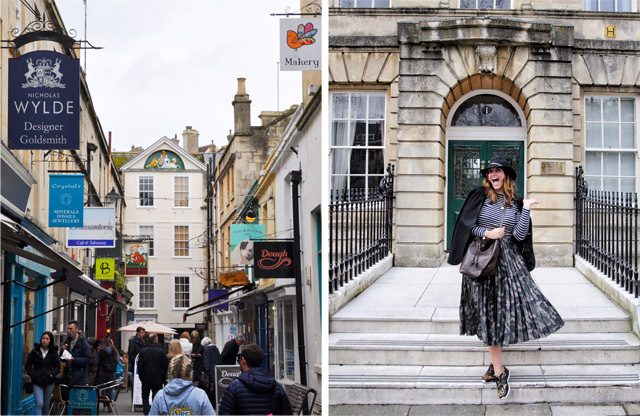 Every single one of us is different when it comes to our shopping habits, but I can quite confidently say that I don't think there's shopping enthusiast alive that wouldn't find pleasure in discovering the shops of this perfectly formed city. 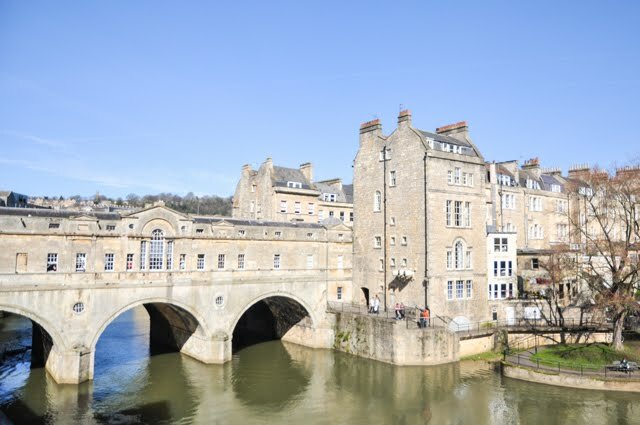 For more information, head over to Visit Bath, which basically has all the info you'll need to plan a proper trip! 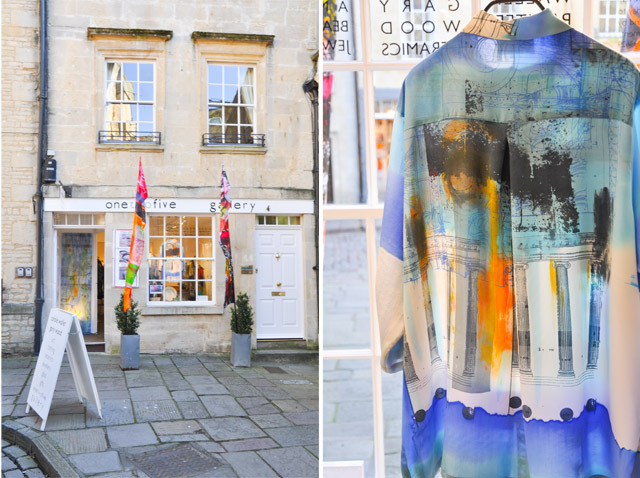 Fashion Foie Gras worked in collaboration with Visit Bath in creating this shopping guide.